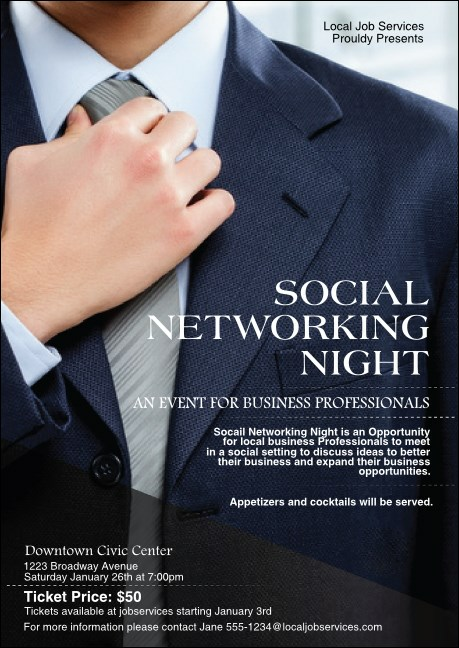 Discover more opportunities for meeting new contacts when you distribute the Social Networking Club Flyer before your professional gathering. A young man straightens his tie on this crisp, high resolution design. Enter eighteen lines of details in the template below to get started. Promote your events with the right design from TicketPrinting.com.